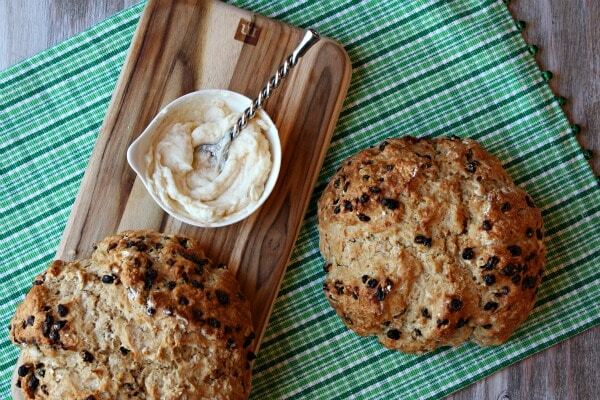 Check out this super yummy and festive Brown Butter Soda Bread from Recipe Girl! The dough is super easy to work with and no yeast is involved, it just pats together into two small loaves.! 4. Turn the dough out onto a well-floured work surface. 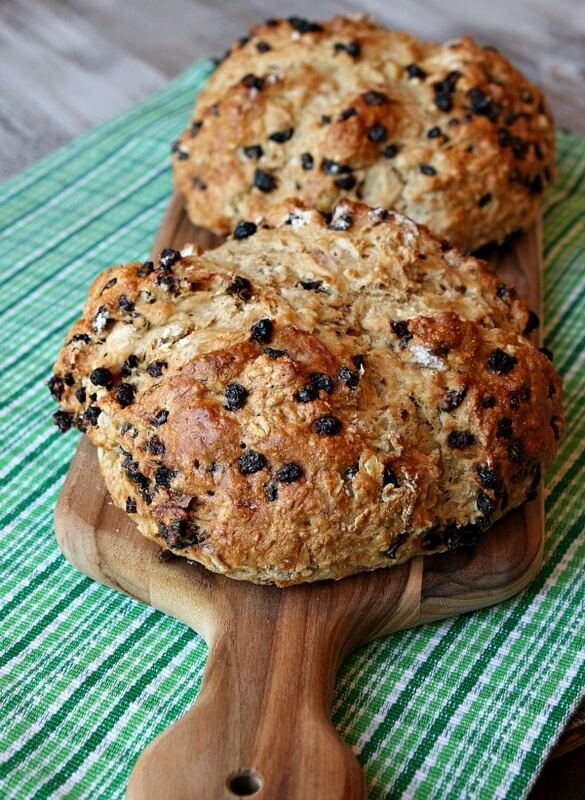 Sprinkle the currants on top and knead them gently into the dough until the dough comes together, about 7 turns. Divide the dough in half. Shape each half into ball, and lightly flatten each into 6-inch round. Place the rounds on ungreased baking sheet, spacing 5 inches apart. Use a knife to cut a 1/2-inch deep “X” in the top of each round of dough. Brush the tops with the egg wash.
6. If you’d like to make the honey butter, just mix the butter with honey and cinnamon in a small bowl until blended. Serve with the bread.